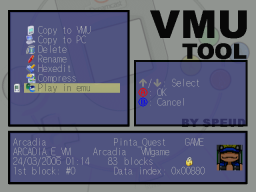 Select the "Open VMU" option in the main menu. 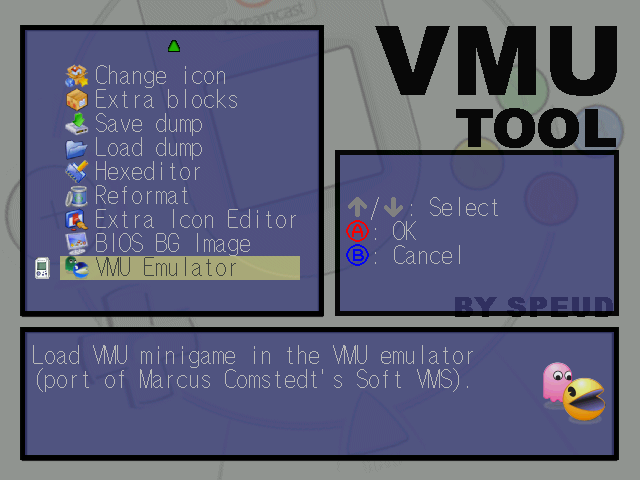 Select the VMU that contains the minigame you want to load in the emulator. 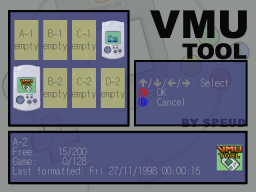 Select the "VMU emulator" option. The selected VMU will be scanned to look for a VMU minigame. If no file is found the loading will fail. 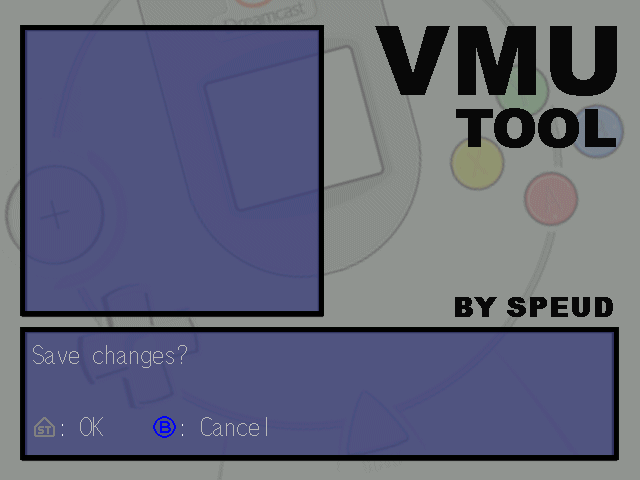 If you want to play to a VMU minigame that isn't saved on your VMU check this guide. 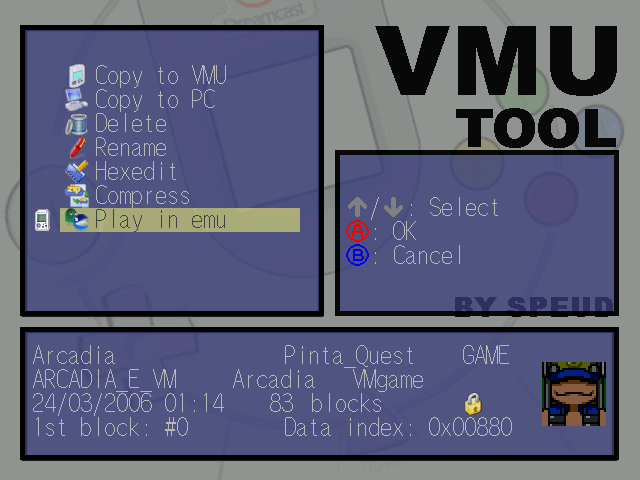 Alternatively, you can load a VMU minigame by selecting the GAME file in the "File manager" and select "Play in emu". 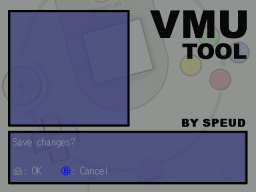 The VMU emulator will open and launch the minigame found in the selected VMU. 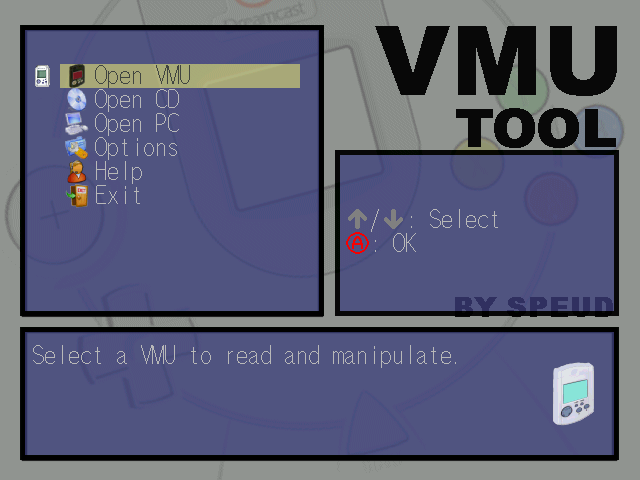 Controls are displayed in a frame, press Start to hide it. 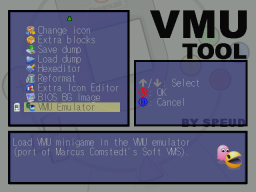 Use Y to leave the emulator, if for some reasons the Y button doesn't work press A+B+X+Y+Start to go back to the previous menu. 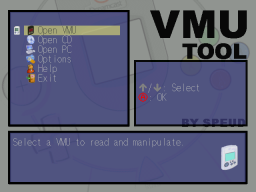 Once you left you can save changes by pressing Start, press B if you don't want to save.